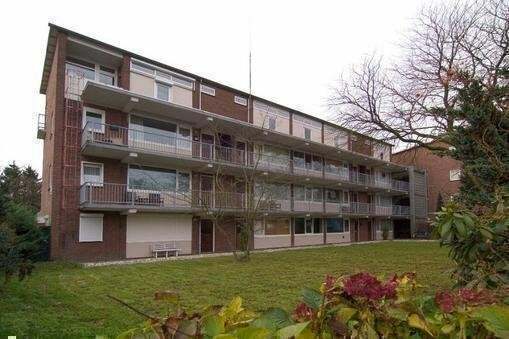 Europalaan, Enschede Boswinkel € 685, - p / m excluding g / w / e incl. servicecosts. On a central location close to shops, public transport and the city center lays this nice 2 bedroom apartment (formerly 3 rooms). entrance with access to toilet and separate kitchen. The living room offers a lot of space and because of the windows on al sides the room is very light and looks more spacious. The bedroom is approximately 12m2 and is located behind the living room. Also is the bathroom with shower and sink are here. In the basement is a storage room and a shared bicycle parking. A car can be parked in the private parking. In short: Are you looking for a clean and spacious apartment for one or two persons near facilities? Please call for a viewing: 053-8200 820!